Here we are again, High Point Market in North Carolina officially begins in a few days. We are already on site to prepare everything so that we can show you our most recent collections. If you are in High Point, do not forget to stop at our booth at the Design Center, 5th floor booth D523 we are waiting for you! Our first participation at IMM Cologne is now over. It was a great experience. It took a lot of planning and preparation but the result was fantastic! Thank you to customers, colleagues and friends who were there and took the time to come and see us. Thank you also to all those new people we met, who stopped by and took the time to look at the collections we had brought from Canada and to get to know us. We look forward to doing business with you in the future. This first show is over for us but it will not be the last! See you again at IMM 2020! We are already in North Carolina getting ready for High Point Market, which will take place from Saturday, October 13th to Thursday, October 18th. 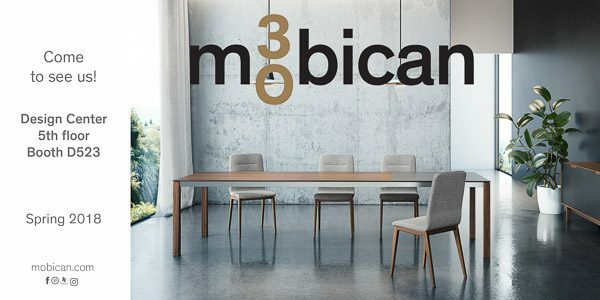 We look forward to introducing our newest collections and new finishes that were developed in this 30th anniversary year at mobican. 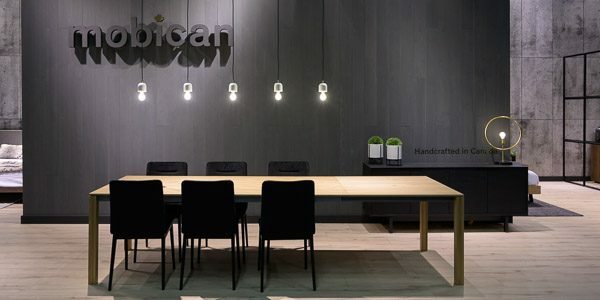 If you plan to be at HPMKT, do not forget to schedule a visit with mobican at Design Center, booth D523: we are waiting for you! 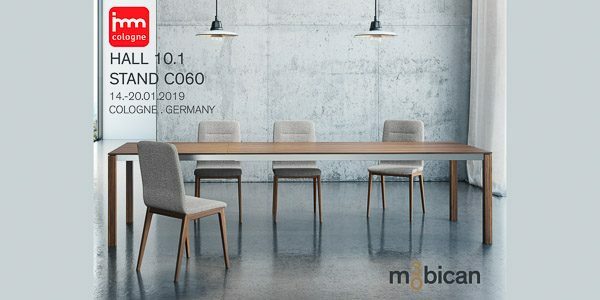 The entire Mobican team is both excited and proud to announce that we will be exhibiting at the Cologne International möbel messe in Germany from January 14 to 20, 2019. It is with excitement that we are already preparing for this first presence in this large-scale show. We will be waiting for you in our booth C060 in Hall 10.1 to show you our latest collections. 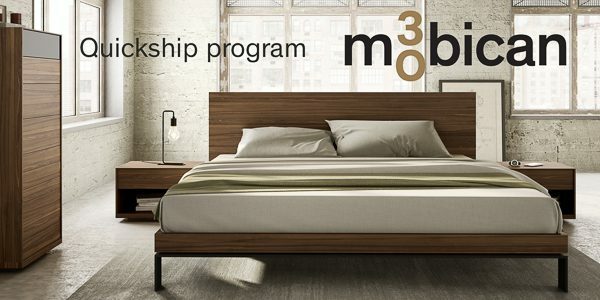 As part of our 30th anniversary celebrations, mobican is proud to launch its new Quickship program. Indeed, for a selection of products, we now offer the possibility that your order is shipped within 30 hours! In addition, to kick off this new program, we offer a 5% discount for all “Quickship” orders that will be made in May. Which furniture is eligible for this offer? Our four most popular items: the Bora bed in “Queen” and “King” sizes in Smoked walnut with black legs, the Mimosa night stand in Smoked walnut, the Mimosa narrow chest in smoked walnut with one Ebony glass drawer front and the Mimosa double dresser in smoked walnut with one Ebony glass drawer front. What are you waiting for to have the bedroom of your dreams? Last night, April 20, 2018, took place the 54th Gala of Excellence of the Chamber of Commerce and Industry of Haut-Richelieu in Saint-Jean-sur-Richelieu. More than 700 people were present for the event. 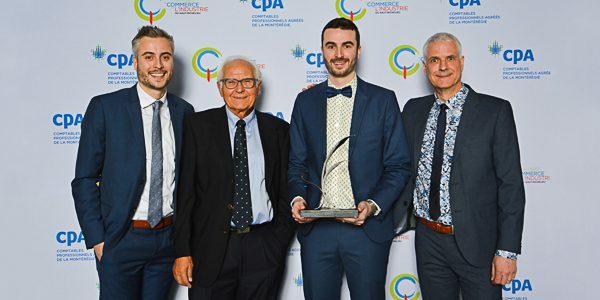 It is with great pride that Mathieu, Nicolas, Patrick and Bruno Selmay received the “Corporate Succession Award” (15 employees and more), three generations who have been and continue to be part of Mobican Furniture. We would like to thank every member of our team: without the contribution of each of our employees, nothing would be possible! We are already in North Carolina getting ready for High Point Market, which will take place from Saturday, April 14th to Wednesday, April 18th. What distinguishes Quebec furniture from foreign competitors? Comfort, quality, of course, but also customization and design. But how to offer a high-quality product without inflating prices too much, while dealing with the uncertainty surrounding the renegotiation of NAFTA? Here are a few tips. 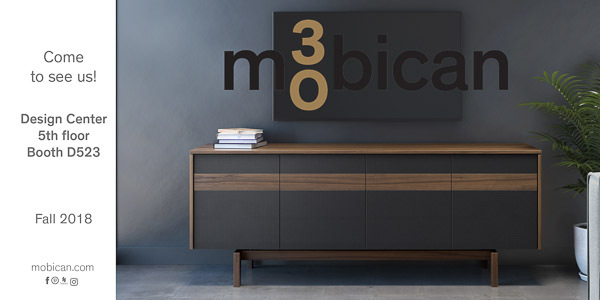 Mathieu Selmay traveled to Austria to choose the wood veneer that will be used in the new Mobican collection, the furniture manufacturer in Saint-Jean-sur-Richelieu. “We select our veneer lots one by one according to specific criteria, such as color, number of knots, type of grain, “says VP Sales. In total, he examined the equivalent of some 600,000 square feet of wood to order 55,000 square feet. “We travel to different countries, like Austria, Spain, England or Germany to select each of the wood veneer that will enter the factory. “Species such as rustic oak, teak, maple or cherry are used to make the furniture that comes out of the 45-employee SME. Objective: to create the perfect piece of furniture. “It’s a combination of details that are not always apparent at first sight, but that make the whole thing harmonious, like the size of the legs, the varnish used, the thickness of the glass, and so on. What we want is for people to have a crush, “says Selmay. 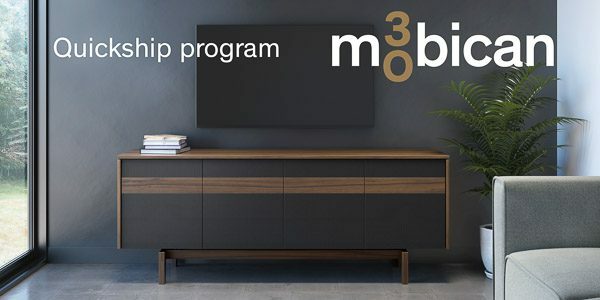 Mobican relies on the “wow effect” combined with high quality products to stand out from the competition. A philosophy that has been an integral part of the company’s DNA since its founding in 1988, but which has taken a new turn since the involvement of the two sons of President Patrick Selmay, Mathieu and Nicolas. “We revisited all the collections to bring them up to date two years ago. And because we have held all the positions in the company, we know the smallest parts of production, which helps us to know how to optimize each step”, says Selmay. Design is one of the keys to the success of Quebec furniture, which has been able to return to growth in recent years, said Pierre Richard, CEO of the Association of Furniture Manufacturers of Quebec (AFMQ). In fact, at the turn of the 2000s, Quebec’s industry was reduced to a trickle as a result of the invasion of low-priced Asian furniture and the rise in the value of the Canadian dollar. A tsunami that took with it several Quebec players. “As a result: those who offered low-end products have not survived. Only companies that have innovated have remained alive, either by focusing on design, customization, improving production times, etc. High standards combining quality and comfort that are impossible to achieve for furniture made in China and sold at a discount on the North American market. Thus, companies such as Mobican had to work hard to solve the quality-cost-of-production equation. Selmay’s father and sons, all engineering graduates, work daily to optimize every step of a piece of furniture’s birth. “It’s one of our strengths to be able to offer a reasonable selling price while maintaining a high quality,” says Selmay. Thus, the team tries to standardize as much as possible on the production line. “For example, we limited the number of drawer formats, which allows us to optimize the manufacturing of their interior components, to increase the volume and speed of production. It saves time and space, “says the vice president of sales. Same with the holes that are the same size for every pieces of furniture, which avoids readjusting the machinery between each collection, which can also be personalized to the tastes of the customer. Customization is another asset of the furniture manufactured here. ” But beware ! Offering the customers to put each furniture to their taste is not necessarily an interesting solution, because the risks are great that the results will not be pretty and will be returned. On the other hand, several companies have developed mass personalization, which allows to maintain harmony in the design while maintaining a good speed of production “, analyzes for its part Yves Dessureault, director of Inovem, Center of innovation in cabinet making and furniture Cégep de Victoriaville. 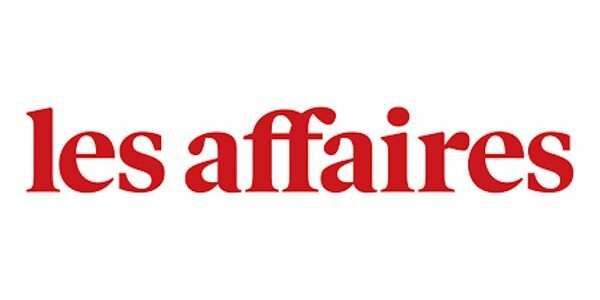 However, relying heavily on technology, the company founded in 1982 managed to weather the various economic crises while remaining at the forefront. “In 1987, we bought our computer supplier. We then resold it to the employees, keeping the software that was used for production and some specialized programmers. This allowed us to continue to develop IT tools according to our needs, because when you buy a standard product, it’s hard to ask your customer to go into so much detail. One way to react quickly to change is to always have technology that’s not only tailor-made, but also cutting-edge. For the last ten years, Canadel has also launched UDesign, a personalization tool available on the Internet. On the screen, furniture that can be broken down into millions of possibilities. For example, on a simple table, the consumer can change the size, surface, color, shape or legs. “This software allows us to automate some machines to orders, to integrate everything with the purchasing department, etc. Because there are tens of thousands of products that we use to make our furniture, according to customer choice, and we can not keep inventory of our furniture. An optimization work that does not stop at Canadel or Mobican. Moreover, at the time of the interview, the two companies had just injected millions of dollars to equip themselves with state-of-the-art machinery. “And we always tend to improve. For example, we have small chips installed to know where our products are made. The key to success, however, is that all parts of the equation are solid, whether it’s design, build quality, administration or human resources, “says Deveault. 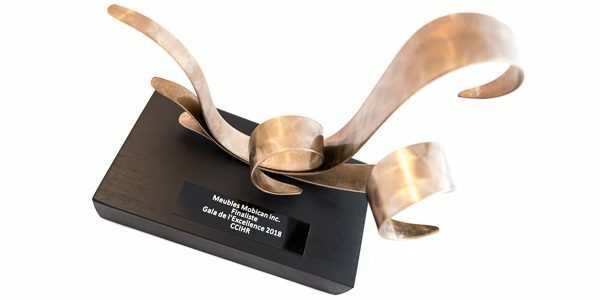 The finalists’ for the 54th Gala of Excellence of the Chamber of Commerce and Industry of the Haut-Richelieu were unveiled Tuesday, March 20th, 2018. Mobican is proud to have been chosen as a finalist in the “Corporate Succession” category. The winners will be announced at the Gala on April 20th. On the same night, a prize will be awarded for the “Coup de coeur of the public” to the finalist which will have accumulated the most votes. We therefore invite all those who, from near or far, support and appreciate mobican to vote by clicking on the following link. From now on, it is possible to vote every day until 18 April 2018 at 16:30.